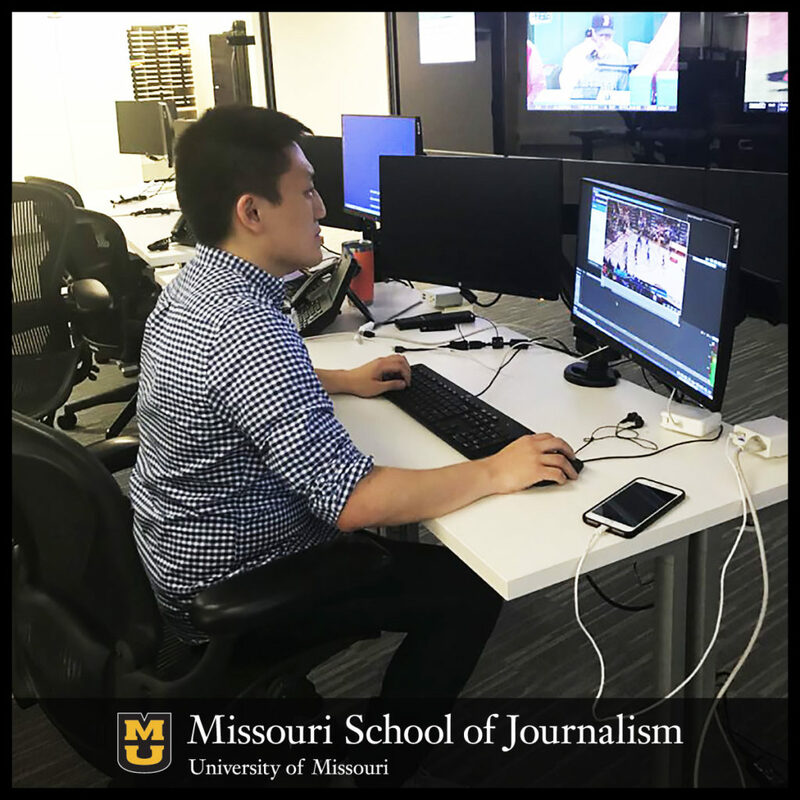 Mark Kim, who graduated from the Missouri School of Journalism in May 2017, is already working at ESPN. However, Kim – who graduated with an emphasis in broadcast journalism – is using his Missouri Method training not in front of the camera, but rather works on ESPN’s social media team. He caught up with Inside Sports to talk about his job and advice he has for those looking for sports media jobs. Inside Sports: What do you do at ESPN? Mark Kim: As a member of ESPN’s social team, I’m responsible for maintaining the Facebook, Instagram and Twitter presences for ESPN’s many accounts such as ESPN, SportsCenter and SportsNation. On a day-to-day basis, my duties include content discovery, video editing, copy editing and content posting. The team is also responsible for coordinating social media execution for big events and long-term projects such as the NBA playoffs and the ESPYs. We also cover events on the ground and collaborate with ESPN talent to grow their platforms as well as ours. Inside Sports: How has your Missouri Method training prepared you for this role? Kim: The biggest thing the J-School taught me is that the industry of journalism is always changing and that you need to adapt to the direction of the industry. I was intent on being a sports anchor/reporter at a local TV station until my final semester at Mizzou. Around that time, I realized that a lot of journalism consumers get their content on digital platforms, social media specifically. After that personal epiphany, my job focus started shifting on the digital and social media side of journalism. For the longest time, I branded myself as a broadcast journalist with a knack for social media. When I decided to shift career focuses, I found out a lot of skills I picked up while working at KOMU could translate over to working in social media. The ability to work in a high stakes newsroom like KOMU really prepared me for working in a newsroom like ESPN’s. Inside Sports: What is your favorite part about working at ESPN? Kim: The biggest thing that has gravitated me to ESPN is definitely the community here. I love the social media team I work with and I’ve learned something new almost every day I’ve been at ESPN. The people I’ve met outside the social department have been very kind as well and most people I’ve reached out to have been open to grab a bite or coffee on campus. The environment fostered here at ESPN reaffirms my decision to take this job. Inside Sports: What advice would you offer to other recent graduates looking for jobs? Kim: Don’t be afraid to wait. The pressure will mount right out of school to get a job and even more pressure to take the first offer that comes your way. Patience is key in the job search. You might end up taking a job that you don’t like just because it’ll get you in the industry. Don’t take this as a sign to be overly stingy in the job search. At the very least make sure that the job you take fits the bill of what you want to be doing in the industry five years down the line. It’s also important not to fear rejection. You’ll be turned down from a lot of jobs and the worst thing you can do is to be discouraged by it. You don’t make every shot you shoot when it comes to the job search. Apply for any job that piques your interest because the worst thing people can tell you is “No.” You’ll never know which people will follow up with you for an interview.